I received one of the biggest and most joyful surprises of my life on the morning of February 12, 2019. My period wasn’t due for a few more days, but months of fertility treatments had done nothing to lessen my anxiety and anticipation during the monthly Two Week Wait, and on a lark I decided to take an early test. . . just to see. I went about the rather unpleasant (but increasingly familiar) business of completing the test, then brushed my teeth while I waited the requisite five minutes for the the appropriate test-reading window. Amazingly, my hands were steady and my heart was not pounding as I brought the test strip over to the bathroom window to read the results in the bright morning light: I knew that I was testing early, so even if the results were negative, that didn’t mean I was out of the game just yet. But there it was—faint, but nevertheless apparent. . . a second pink line. I was pregnant! My initial reaction was shock. Having walked the heartbreaking road of infertility for a handful of years, I had started to doubt that we would ever conceive another child. Years of trying to get pregnant on our own, and nearly another year of trying with medical assistance, had proven fruitless. Though we had not given up, I’d started to make peace with the fact that Charleston could be my one and only baby. That saddened me more than I can put into words, yet I was trusting God’s plan for our family—even if that plan meant we were to forever remain a family of three. But that morning, my hope was rekindled. If those two pink lines could be believed, a new life was growing inside of me. We were going to have another baby! I took at least eight more tests that day, all positive, and the reality of God’s incredible faithfulness and blessing began to sink in. 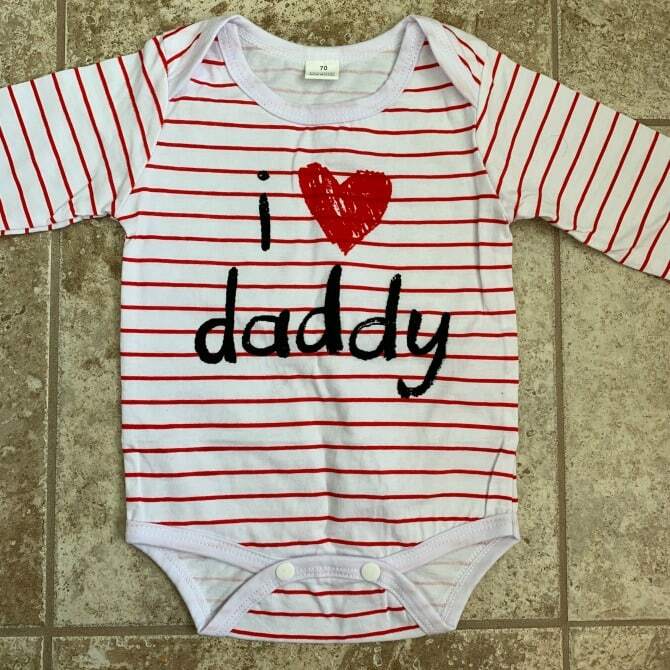 I treasured the secret in my heart for the following two days, and on Valentine’s Day I shared the news with Luke by giving him a tiny onesie that read “I Heart Daddy.” We hugged and cried together, in awe of this miraculous new life. I immediately began to notice that things were different with this pregnancy. 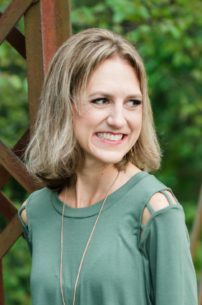 I experienced nausea, headaches, and fatigue almost immediately after hitting 4 weeks—much sooner than when I started having symptoms in my pregnancy with Charleston. But I chalked the discrepancy up to being five years older this pregnancy and the fact that I’d been on a hormone cocktail over the past year that inevitably affected my pregnancy experience. It wasn’t until the following week, when my blood tests came back with shockingly high hCG and Progesterone levels, that I began to suspect I was carrying more than one baby, but I tried to keep my concerns at bay until our first ultrasound. “Yes, that is one of your babies.” It took a moment for my mind to register what the nurse had said. What did she mean, one of our babies? “You mean . . . there’s more than one?” I gasped, hardly knowing if I would be able to comprehend—let alone accept—the answer I might receive. Those three words, there are three, were the last ones I ever thought I would hear. It’s not an exaggeration to say it was the most shocking news I have EVER received in my life. Through my emotional fog, I heard the nurse say, “I only see two heartbeats, but my guess would be that they just started beating today. The third baby might be taking a bit more time to get started.” I wasn’t sure what this meant and asked if it was possible we would be left with two babies instead of three. She told us yes, this was possible, but that she could guarantee we would be having at least two babies. The nurse, understanding of my reaction, quickly wrapped up the ultrasound and left Luke and me alone in our room to collect ourselves. We stood there, clinging to each other, terrified of what our future would hold. After scheduling a follow-up appointment for the following week, we numbly walked to the car where we held hands and prayed. Through my tears, I thanked God for this incredible gift. We had prayed for one baby for so long, and He heard our prayers. . . and blessed us with three. This was not the gift I had asked for, but it was a gift nevertheless. I couldn’t fathom life as mom to triplets, but I told God that I was trusting Him to carry us through the pregnancy and beyond. I told Charleston he wasn’t going to get five siblings, but how would he like three of them?! His reaction was priceless. He said, “That’s perfect! There’s three of us, and three of them! But I might need help carrying three babies. I will start with just one.” Hearing those words, I knew we were going to be okay. I was still terrified, but no longer paralyzed by my fear. Three babies would be really hard, but how incredible it would be to have three more “little Charlestons” filling my home and my life with love and joy! 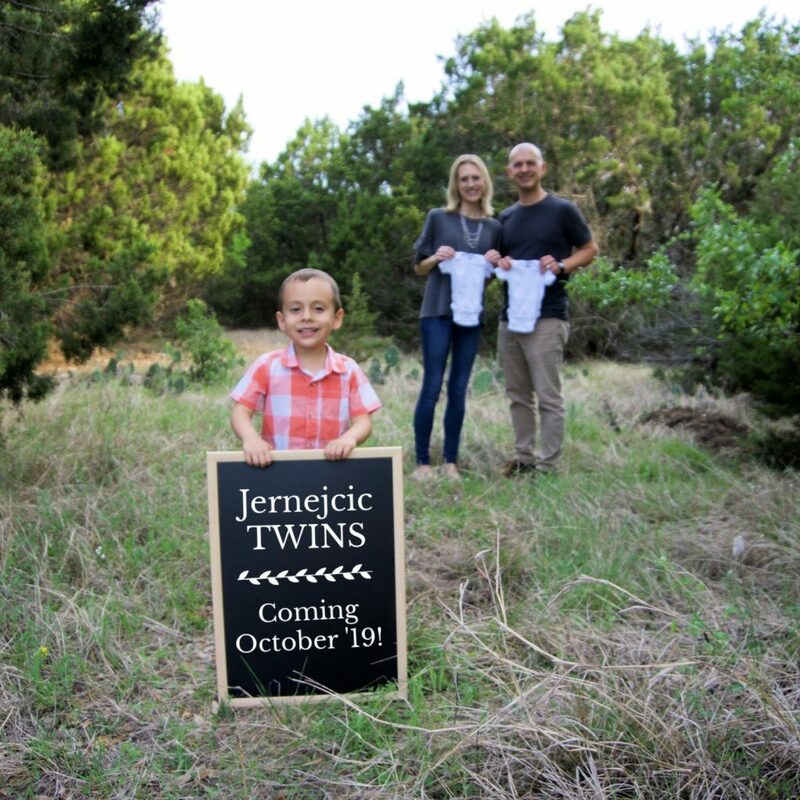 When I’d thought there was just one baby, Luke and I had planned on keeping the news of our pregnancy to ourselves for a while longer, but having been blindsided by news of triplets, I knew that I would need the emotional support and prayers from friends and family, so we began spilling the news immediately. Luke’s parents had learned of the pregnancy when we told Charleston, and we called my parents later that day to tell them that three little Jernejcic babies were on the way. That week we also told most of our close friends, all of whom rejoiced over our exciting news and offered to do anything they could to help. Luke and I found their positive reactions incredibly reassuring—if others saw three babies as something to celebrate, perhaps we could too! 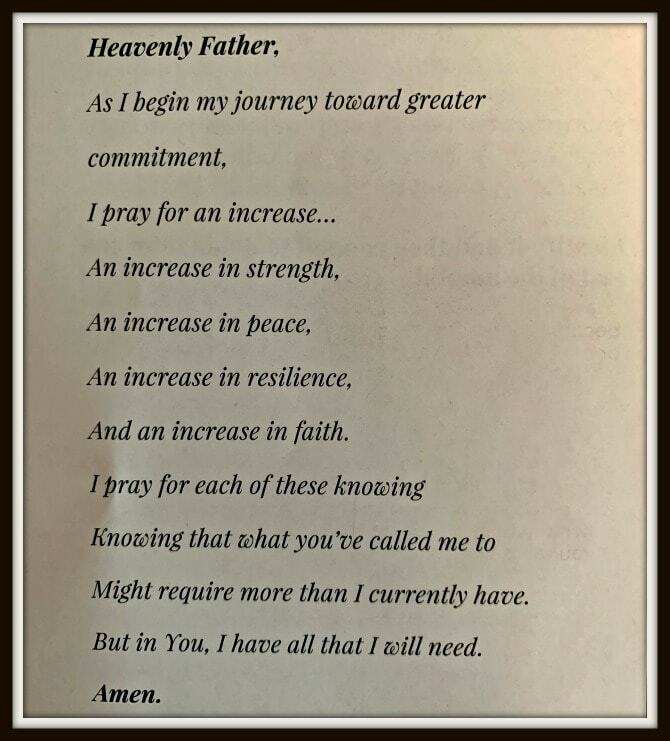 The day after we first heard the news, I came across the following prayer in one of my daily devotionals. That prayer is now taped to my wall, and has become my mantra for this pregnancy—“what you’ve called me to might require more than I currently have. But in You, I have all that I will need.” God knew these were exactly the words I needed in this very sensitive moment. I felt like a new woman when we returned to the OB’s office the following Monday. I knew that God would prepare me for whatever lay ahead, even if our future involved growing and then raising triplets. After a brief meeting with a nurse to discuss how a multiples-pregnancy would differ from my pregnancy with Charleston, the doctor came in to perform our ultrasound. I have to stop right here to mention that my OB is one of the kindest, most reassuring medical professionals I have ever met, and simply having him in that room with us immediately put our minds at ease. He asked some preliminary questions, then we moved to the ultrasound. I held Luke’s hand in a viselike grip as we saw our first baby appear on the screen. Despite my reaction from the previous week, that tiny little body was one of the most incredible things I had ever seen and I cried—tears of joy this time, that increased as we heard a nice, strong heartbeat. The doctor then moved the probe to the second sac, where we saw another squirming little embryo and heard a second miraculous heartbeat. The doctor then moved onto the third sac and we could see no movement. He spent some time searching and could find no heartbeat. Our third baby had lost its life before it even began. The doctor assured us this was not because of something we’d done wrong, that one third of embryos cannot sustain life because of chromosomal incompatibilities, and that our three babies were fitting with that statistic. My reaction to this news was mixed: I was relieved to have two healthy babies, and knew the likelihood of carrying them to term (or close to it) was significantly higher with twins than triplets. 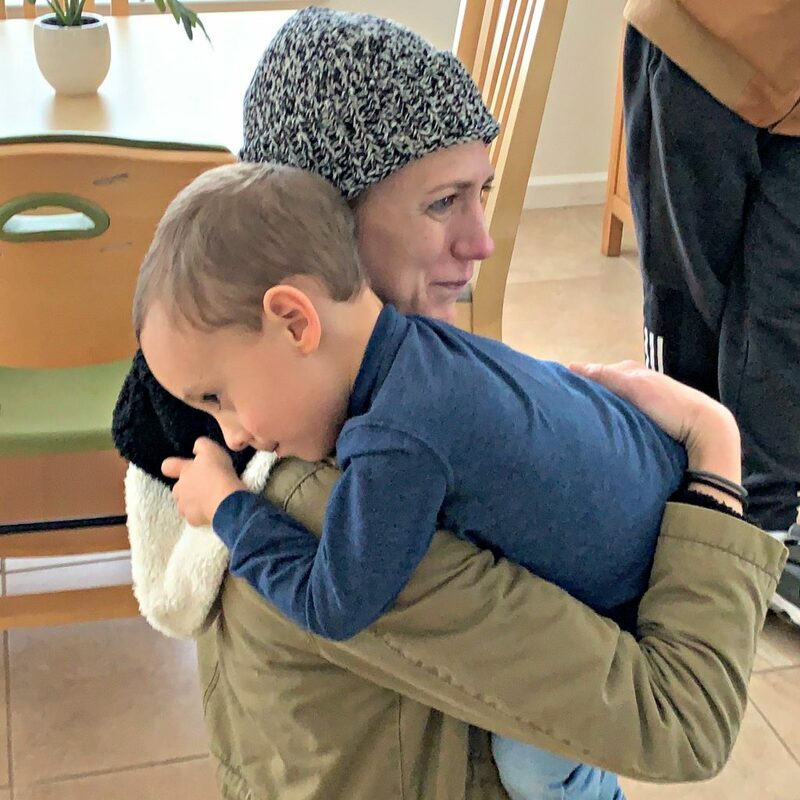 But I was sad, too, and that surprised me: I had been terrified of having triplets, yet learning that your child has died—has never really lived—is never easy. 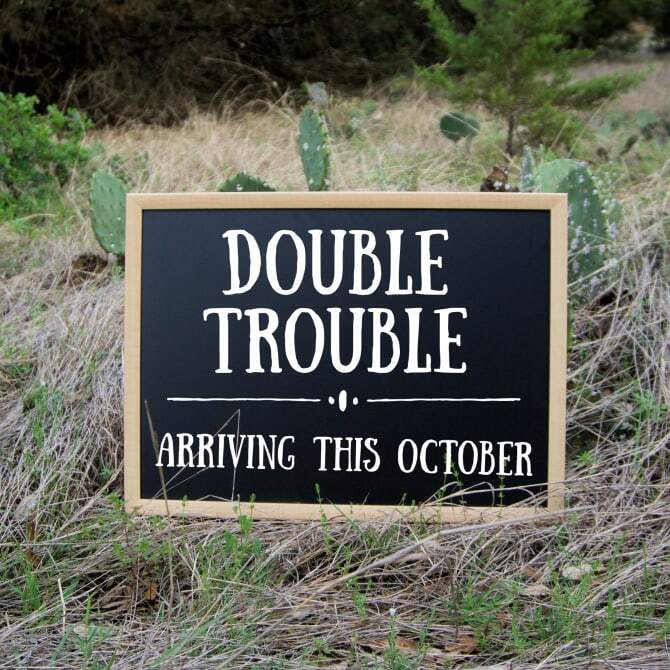 We left that appointment encouraged by the news of our healthy twins, and by our doctor’s prediction that I will have a healthy, “normal” twin pregnancy. In the weeks since, I’ve been able to process the loss of our third baby, and while there is still some grief, there is also a profound sense of relief. More than anything, I am thankful to our third child for helping me come to terms with the idea of having multiples. I know many women hope for twins, but I was NEVER one of them. The thought of carrying, birthing, and caring for more than one baby was incomprehensible to me. Now, having spent a week anticipating life with triplets, I feel emotionally prepared and even excited for our twins. There are a lot of big changes ahead for our family as we grow, including a new car that fits three car seats, a new house (more on that front soon! ), and lots of nesting to do. I continue to be in awe of God’s grace and kindness towards our family, and am enamored by the beautiful story He is writing with us. His blessings are abundant, and we are grateful beyond words for His provision. I’ve received a number of questions since sharing the news of our pregnancy and thought I would answer some of them here! Well, when a man and a woman love each other very much . . . . I kid! But given how long it took us to conceive, I’m not surprised that many friends have wanted to know how we managed to get pregnant with multiples! The short answer is that it happened “naturally,” in that we did not do IVF or even IUI. However, I was on a number of fertility drugs including Femara (an ovulation stimulator similar to Clomid), hMG injections (which stimulate ovaries to produce eggs), and hCG injections to trigger ovulation, in addition to a number of natural supplements recommended by my doctor, plus Progesterone supplementation after ovulation to encourage implantation. I’d been seeing my nurse practitioner for biweekly follicle scans, and the month I conceived, I had five mature eggs . . . but the previous month, I’d had seven, and that month resulted in no pregnancy, so I truly believe that God had His hand over our conceiving multiple babies. Pretty miserable. I’ve been extremely fatigued and nauseous since four weeks and have not experienced much relief yet (though this past weekend was slightly better, so maybe I’m turning a corner?). Thankfully, Charleston has been sleeping great these days so I am able to sleep about 9 hours (albeit fitfully because #PregnancyInsomnia) each night, and nap for an hour or two with Charleston every afternoon. (Literally, with him in his toddler bed—I told him we would keep this up as long as I fit!). Fortunately the extra sleep has helped with managing the exhaustion. As for the nausea, I haven’t found much relief; I’m just grateful that I haven’t had any vomiting. Technically, my Due Date is October 28, but my doctor doesn’t let twin pregnancies go past 38 weeks, so these babies will be coming on or before October 11. Are you planning to have a c-section? Nope! Because I delivered Charleston vaginally, and he was head-down, my doctor has high hopes that we will be able to deliver these babies naturally! Obviously, I am open to a C-section in the instance of an emergency, but if it’s possible, I’d like to have a vaginal, drug-free delivery with these babies (as I did with Charleston). Are you planning to deliver in a birthing center? Sadly, no. We did all of our prenatal and postnatal care at a birthing center during my pregnancy with Charleston (unfortunately, we got transferred to a hospital during labor because he came early and was measuring small). We loved that experience and had hoped to try the birthing center route again, but because this pregnancy is high risk (multiples, plus advanced maternal age), we don’t have that option. Thankfully, I love my OB and have heard good thing about the hospital and NICU where I will deliver. Do you plan to find out the babies’ genders? Yes! If it were one baby, I was hoping to convince Luke to let the gender be a surprise. But we’ve already had too many surprises this pregnancy; I will take all of the extra information I can get! How is Charleston handling all of this? Charleston is THRILLED to be a big brother. Though still very sad he is only getting two siblings instead of three, he has been quite interested and invested in my pregnancy. He is very gentle with me, regularly asking how I’m feeling, saying he’s so sorry the “babies are making me sick,” and praying to God that I start to feel better. He talks to the babies every day, regularly kisses my belly, and has enjoyed making plans for life with brothers and/or sisters (he’s really hoping for two girls). That said, Charleston has been the center of our world for over four years, and I realize he has no idea what is in store for him. We are doing our best to prepare him, both emotionally and on a practical level. This has involved increasing his household responsibilities and encouraging more independence. Our biggest challenge right now is getting him out of our bed at night, and happily we are making some good headway on that front. How is this pregnancy different from your first? Like I mentioned above, I began experiencing symptoms much sooner, and both the nausea and fatigue have been worse than with my first pregnancy. My belly also popped out very early and is growing faster than I could have ever predicted! I’ve already begun to experience some Braxton Hicks contractions (my nurse said this is normal) and might have felt the first few flutters of little baby feet (I didn’t feel Charleston move until around 18 weeks). 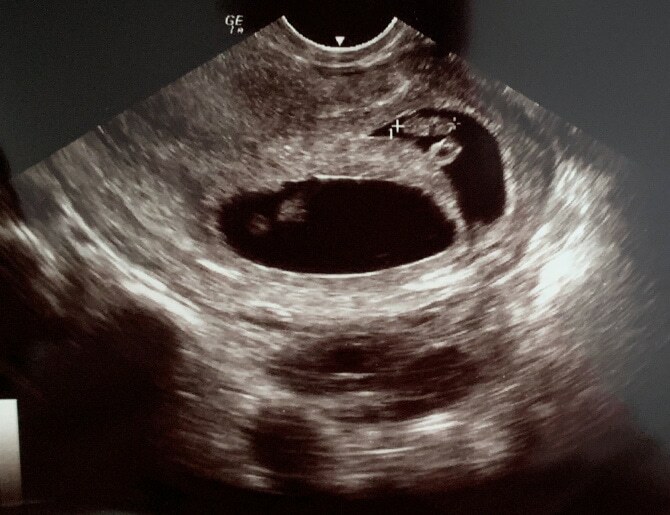 From a medical standpoint, a twin pregnancy means that I have OB appointments every two weeks and get an ultrasound every time. My doctor has also placed me on exercise restrictions (walking only) for the remainder of my pregnancy—something I’m not exactly happy about, but am complying with because I will do anything I can to keep these babies inside me for as long as possible. Do you plan to continue blogging? I will continue to blog as long as I can into this pregnancy (though my posting may be spotty in the next couple of months as we are busy with moving to a new house). Once the babies are here, I suspect that blogging will need to take a back seat for a time, but I will continue to post whenever I can. I’m sure life with twins will provide me with plenty of content! Thank you to everyone who has asked this question! Our biggest prayer is that these babies remain healthy, that they make it to term, and that we have a complication-free pregnancy and delivery. I understand that I should probably anticipate some time in the NICU but we would obviously like to avoid that. We also have a lot of logistical things to do to prepare for our family of FIVE, and we would love prayer regarding the many decisions to be made. Everything about this pregnancy has forced me to release expectations for perfection, but I am still struggling with fears that I won’t get all of my nursery preparation and nesting done in time. As for when the babies come, we are asking for prayers in managing the twins and also continuing to give Charleston the love and attention he needs. 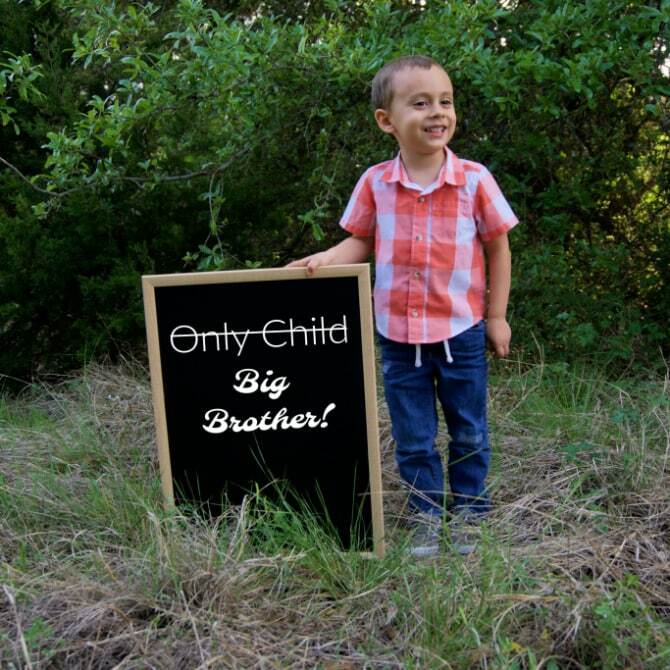 He is SO excited to be a big brother, and I know he will be awesome at it, but I don’t know if he realizes how much life is about to change for Him; we are seeking God’s wisdom in knowing how to prepare him (and us!) for this transition. 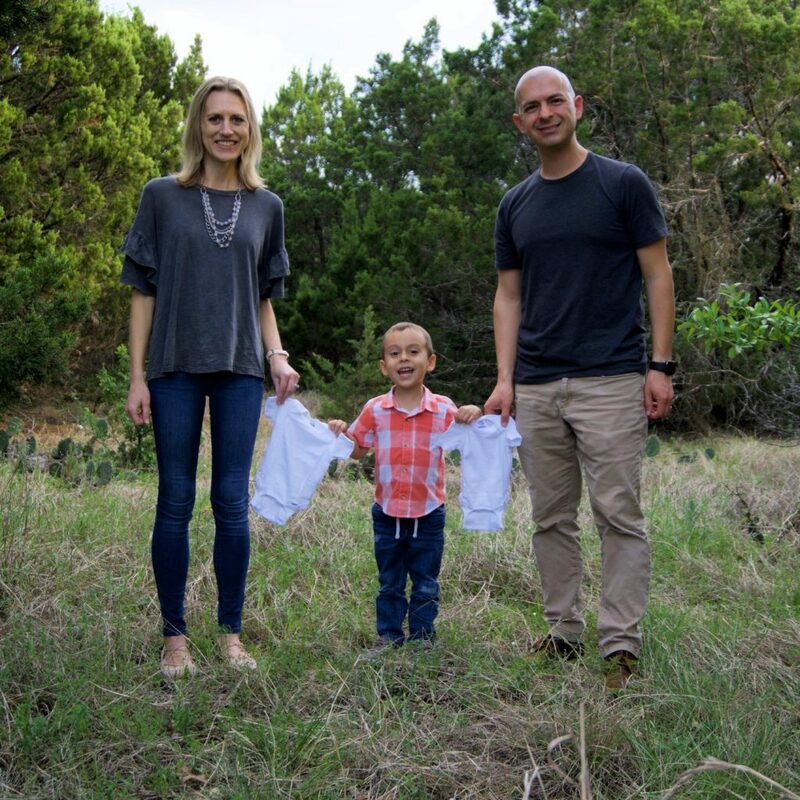 Thank you so much for caring about our family, for praying for us as we walked through infertility, and continuing to be our cheerleaders as our family expands. Your support means the world to us!